EXCELLENT! One of the baddest of the bad-bad! There’s something operatic about the guy; in fact, I’d like to see The Road Warrior remade as an old school German opera! A great write-up about one of my fave mutants!This is the first blogathon I’ve done, and it’s cool to see all the badness. Well done! First of all, I love that a villain has no back story. He is who he is. I get a little tired of filmmakers trying to EXPLAIN a villain; often the movie suffers because of it. I respect that the makers of Mad Max 2 didn’t fall into that trap. Secondly, I have never seen ANY Max Max movie – it’s not my thing – but I enjoyed your review so much, I might have to give it a go. 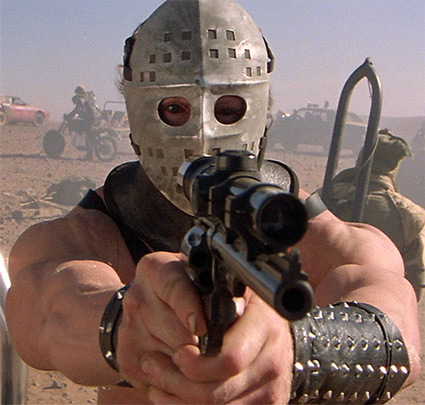 Mad Max 2 is my favorite of the trilogy because of Lord Humungus 🙂 Nice review! Great review! 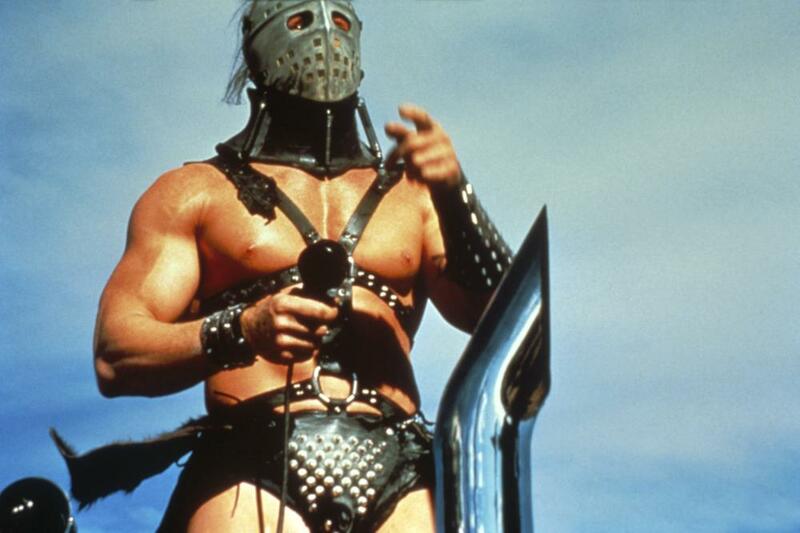 Mad Max is one of my guilty pleasures, so thanks for including Lord Humungus in this blogathon. The power of his character certainly is in the enigma. Yikes, Adam — I’m scared of this guy from just watching the clip! Like Ruth, I’ve never seen a Mad Max movie, and I think I can safely say that I never will, but I sure enjoyed your write-up and your enthusiasm for this film! Good stuff!